During the workshop, partners from the national research and extension system (NARES) shared their experiences and what they have learned from the challenges they faced. Dr. Nguyen Huy Bich, Dean of the Faculty of Engineering of Nong Lam University in Ho Chi Minh City shared how the BMZ-funded project on rice straw management has been very useful to Vietnam in terms of scaling out sustainable technologies and practices on rice straw management such as rice straw composting. He was also very much pleased that Nong Lam University became part of the project. using rice straw based compost as soil amendment. Executive Director of the Philippine Carabao Center and co-leader of the RiceStrawPH project, Dr. Arnel Del Barrio, cited the challenges of collecting good quality rice straw as feedstock for cattle and other ruminants is due to lack of balers and better logistics in rice straw collection, transport and storage. 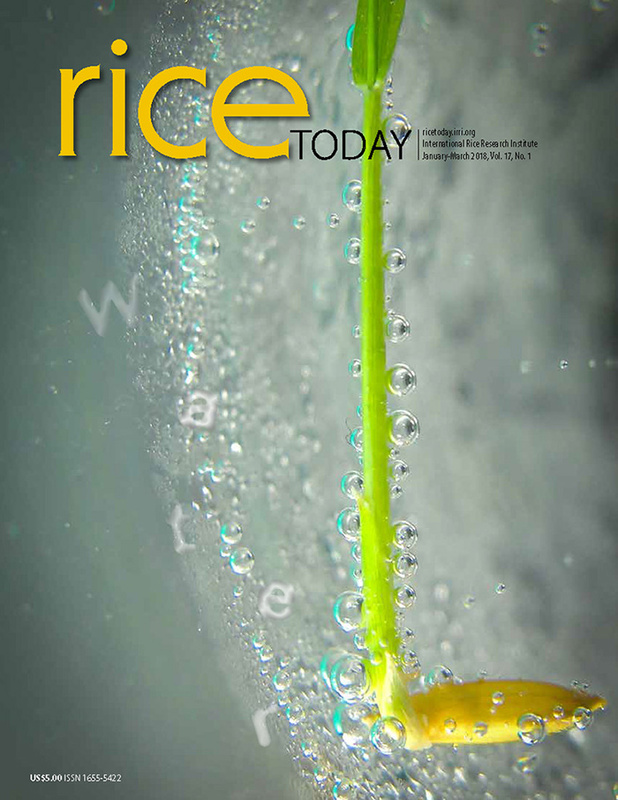 He added that there is a need to refine existing technologies to improve intake and quality (crude protein and digestibility) of rice straw. In response to this challenge, Dr. Elmer Bautista of the Philippine Rice Research Institute and study leader of the RiceStrawPH project said the project is keen on addressing the issue on rice straw collection logistics and the local adaptation of rice straw baler in the Philippines. 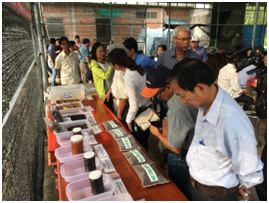 One of the highlights of the workshop is the demonstration of mechanized composting in Tien Giang Province. products and by-products of the rice straw composting. 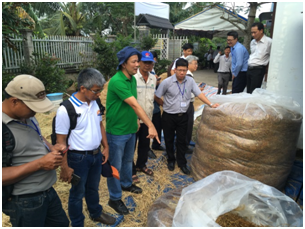 According to Dr. Nguyen Van Hung, IRRI scientist and co-project leader of the Rice Straw Management Project, said that the compost turning machine being demonstrated exhibits the effective integration of mechanization and bio-chemical process to optimize rice straw composting. The workshop and demonstration was attended by 59 participants from NARES partners, non-government organizations, government institutions and private sectors who were active collaborators and implementers of various project components. 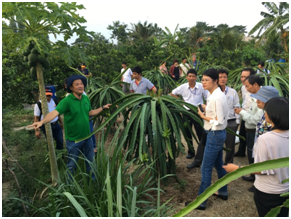 Staff from the World Bank-funded project Vietnam Sustainable Agricultural Transformation also attended the workshop to glean experiences and learning on sustainable rice straw management strategies.